HotelSpa Aquacare Series Insta-Mount Towel Bar - 24"
No more dripping water and slipping on the floor while reaching for your towel. 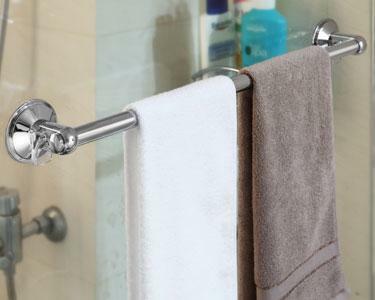 Now you can place your towel bar anywhere within instant reach, inside or outside your shower. No tools, no drilling, no surface damage. 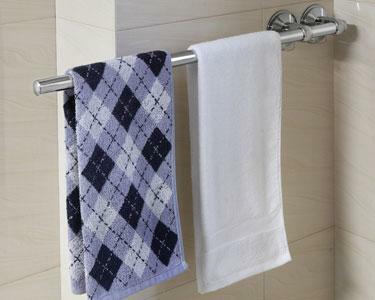 Maximum weight capacity for each towel bar is 20lb.